Not so much an Empty Land as a Bustling One! One of the many myths of the settler-colonial ideology that is Zionism is that before the settlers came, Palestine was a land without a people for a people without a land. In fact even in 1896, Palestine was densely populated with some half-a-million people, including 30,000 Jews. Orthodox Jews made up over half of Jerusalem and as can be seen lived peaceably with their fellow Arabs, Armenians and the followers of many other religions. This is a fascinating film which has only just been discovered. 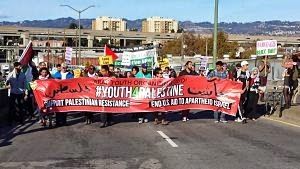 A significant step forward in the struggle against Israeli apartheid was taken this weekend in the San Francisco Bay Area. For the third time in less than three months, an Israeli cargo ship owned by the ZIM shipping company was prevented from unloading its cargo as scheduled. The ZIM Beijing ship was scheduled to dock at the Port of Oakland on Oct. 25 but never showed up. The Beijing passed through the Panama Canal, turned north on course for the Port of Oakland and then after a few days traveling towards Oakland veered west on its way to destinations elsewhere. Prepared to meet the ship at the Port of Oakland was a “welcoming” party of Palestine solidarity activists organized by the Block the Boat coalition. 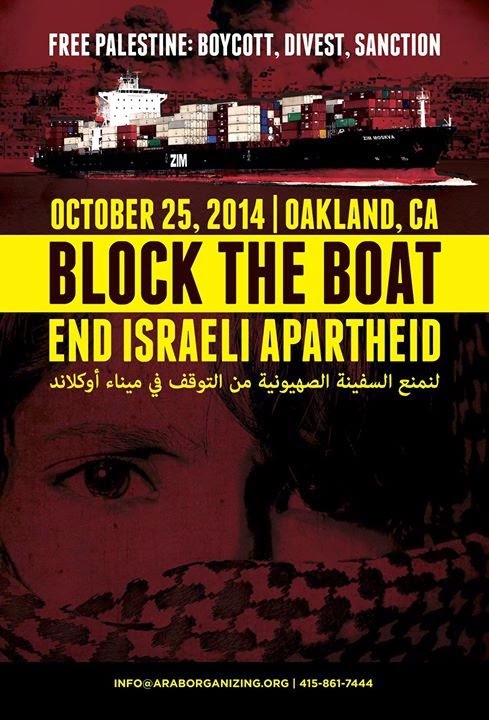 The Block the Boat coalition, comprised of Palestinian, Arab and pro-Palestinian activists and organizations, was formed earlier this year to highlight the role the Port of Oakland plays as an entry point for goods being shipped by the Zionist ZIM corporation. Amongst the array of goods carried by ZIM ships are materiel for local police forces in the United States. Once it became clear over the weekend that the ship was not arriving on or near the schedule, the coalition organized a rally and march on Oct. 26 to the port to let ZIM know what they can expect if they try to come back. The success of the Oct. 25 mobilization comes two months after the BTB coalition organized a historic action against the ZIM Piraeus. The ship tried to dock on Aug. 16, but was prevented from unloading for four days and ultimately little if any cargo was handled. The BTB coalition issued a press release on October 29, which read in part, “Pro-Palestinian activists in the Bay Area achieved a decisive victory over the Israeli-owned ZIM Integrated Shipping Services this past weekend. As part of a sustained organizing effort to protest Israel’s ongoing occupation and apartheid against the Palestinian people, organizers deterred the container ship ZIM Beijing from docking at the Port of Oakland. In an unprecedented development, ZIM has no ships scheduled to dock at the Port of Oakland. The solidarity of the port workers, who have historically stood against injustice, including refusing to unload cargo carried by ships flying the racist South African apartheid flag, has been an important component of this effort. The resistance in Palestine is intensifying, and so too must our solidarity all around the world. Block the Boat to End Israeli Apartheid! As part of the wave of military repression soldiers briefly detained a developmentally disabled Palestinian boy, who is under the age of criminal responsibility, on suspicion that he had thrown stones. The boy, A. a-Rajbi, (full name withheld in interest of privacy) who will be 12 in a month, was detained after Palestinian children threw stones at soldiers on the main road of the Jabel Johar neighborhood in Hebron, close to the settlement of Kiryat Arba. A-Rajbi was handcuffed, blindfolded, and held on the floor of an army jeep for some 15 minutes until his father arrived and convinced the soldiers to release his son, who is mentally disabled and cannot speak. In the video footage, filmed by B’Tselem volunteer Samih Da’na from his window, soldiers are seen holding the boy, handcuffing him, blindfolding him and closing him in the jeep, despite cries by Palestinian residents that the boy is mentally disabled. The footage also shows settlers from Kiryat Arba, watching the incident from behind the settlement’s fence. Some are seen calling out encouragement to the soldiers, including several racist remarks. 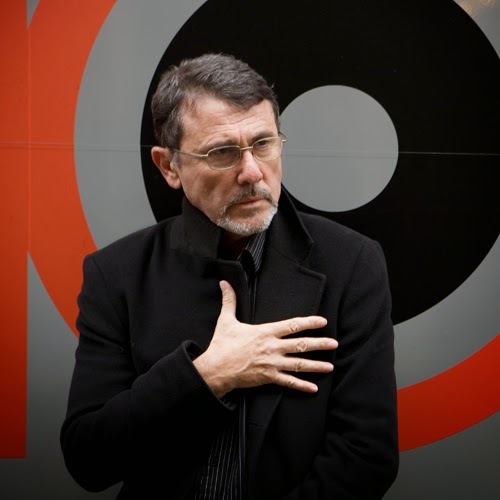 Shlomo Sand - Stops being that which he denies exists! Two days ago I was sent a review from Ha’aretz (see below) on Shlomo Sand’s new book ‘How I stopped being a Jew’. 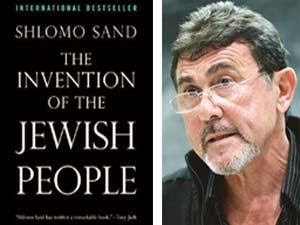 Shlomo Sands wrote a best selling book The Myth of the Jewish Nation. This one is a dogmatic assertion (if Ha’aretz and others are to be believed - I haven't read it yet) of what Sand considers Jewish identity to be, which is that based on the Jewish religion. In this he agrees with the anti-Semitic Gilad Atzmon who argues that only Zionism provides another alternative Jewish identity, that of being Israeli and that Jews who are neither should not be criticising Israel. Below is my instant analysis of the book, based on the review and also the interesting rejoinders of Matzpen member and former Israeli Moshe Machover and David Finkel. I hope to write a more considered review once I’ve read the book. i. Many of the themes echo those of Gilad Atzmon, who has been all over Sand like a rash. ii. Sand has a fixed and static concept of what Jewish identity is. He correctly sees that an Israeli identity is not the same as a Jewish identity, despite Israel's claim to be a Jewish State (the significance of which he fails to understand entirely) and adopts a lazy analysis of what Jewish identity consists of. Historically being Jewish was not just a religion, though for tactical reasons it's often simpler to assert this. However in the transition from the feudal era, emancipation and the escape from the grip of the rabbis, where religion and social occupation were entwined, (Leon's 'people class' i.e. a caste) did indeed mean that being Jewish took on aspects of nationhood.. This doesn't mean that Jews were a nation but that in their heartland, the Pale of Settlement in Russia, Poland and Lithuania where they were confined, they did have territorial contiguity and a separate language (Yiddish). They could be loosely defined as a national minority in that part of Eastern Europe. iii. In the US and UK being Jewish meant for most Jews being an immigrant section of the working class, with its own trade unions even. It meant resisting the fascists and Police and being the advance guard of the working class (e.g. the election of England's only elected communist MP was in Mile End, the heart of the Jewish East End of London). iv. Today a secular Jewish identity in the West is primarily defined either by support for Israel or opposition to Zionism. The majority of Jews are 'disappearing' i.e. integrating into the wider population because it is a transitory identity but Sand is wrong to suggest that there is therefore no secular Jewish identity, even if it is forged in opposition to Israel and what it stands for. v. Sand argues that there is nothing specifically Jewish in a secular Jewish identity. But is there any specific national identity in anything? What does being Hungarian or British actually mean? All national identities look back to national myths and borrow from other cultures and identities whilst claiming to be unique. vi. When he says that 'No achievement of Jewish secularists can be regarded as being Jewish, but is, rather, universal or belonging to the nations where they took place.' my response is so what? But why did American Jews participate out of all proportion to their numbers in the civil rights struggles? Or why did Argentinian Jews participate in and suffer disproportionately under the Junta? Possibly the answer is that they saw their Jewish heritage as part of their anti-racism. vi. Hence the ridiculous claim that the 'involvement of people of Jewish ancestry to him is totally incidental.' Clearly it isn't to those who are involved. Jewish values are not the same as Jewish religious ones, although the Orthodox (and the Nazis) proclaimed it as such. vii. Sand's denial of the right of secular non-Zionists to organise together is that of an Israeli academic who resents the solidarity movement. Again he echoes Atzmon (in more elegant language and without the anti-semitism). viii. His suggestion that Israel’s War of Independence was just like other similar wars suggests he either doesn't understand the specific nature of Zionism and its quest for demographic purity or he is unconcerned. ix. Even more absurd is his attack on those who 'claim to be upholding Jewish values while criticizing Israel,' and writes that they are no different from “overt pro-Zionists.” The latter are out and out chauvinists and often overt racists. Hence their links with fascist organisations. The same is not true of anti-Zionist Jews but one suspects that Sand is simply ignorant in this respect. Jews have no greater rights than non-Jews but they do have a greater impact which is why we are targeted as 'self haters' by the Zionists. xi. I agree with him is that the Palestinian people were the creation of Zionist colonisation. That is also true of other colonised people, but so what? I suspect that you are missing some significant fact about Sand and what he is trying to do and say. I think you are tacitly assuming that he is some kind of leftist. He was, but no longer is, and part of what he is trying to do is to make this clear. He comes from a CP family and in his youth was member of the Israeli Young Communists League. Following the 1967 war he and some of his friends attended Matzpen discussion circles; I recall them from that time when they described themselves as “between the CP and Matzpen”. After some vacillation he joined Matzpen. But not long after that he decided to follow an academic career and no longer engage in political activity. He has since moved steadily to the right, and is now a kind of middle-of-the road liberal bourgeois nationalist. However he did not become a Zionist. In fact, he has retained some of the analysis of Zionism that he absorbed in Matzpen (although he is very careful not to mention this). So in the perverted Israeli classification he is regarded as a “leftist” (which simply means that he is not a Zionist or an anti-Arab racist). His nationalism is of course not Zionist or any kind of Jewish nationalism; it is Hebrew (or “Israeli”) nationalism. Like Avnery (another Hebrew/Israeli bourgeois nationalist) he is patriotic about the 1947–49 “War of Independence” and opposed to the return of the Palestinian refugees; but supports equal individual rights for all Israeli citizens. His project is to establish his Hebrew/Israeli nationalism by rejecting and undermining Jewish nationalism and indeed any kind of Jewish identity. At the same time he is keen to disavow leftism and establish a bourgeois liberal persona. For this reason he attacks Jewishness in general, but most particularly left-wing anti-Zionist Jewish identity (this is where he meets Atzmon…). Thanks, Tony -- these are interesting observations. Sand’s book (which I’m just now reading) is serious, where Atzmon’s is a lunatic rant. In any case, however, there’s an additional complication: The statement that “The majority of Jews are 'disappearing' i.e. integrating into the wider population because it is a transitory identity“ sounds logical, even axiomatic to us materialists but doesn’t hold up, at least in the U.S. context. A recent study (by the Pew institute, not a Jewish organization) indicates that while only 33% of U.S. Jews have any congregational affiliation, and only 23% attend synagogue or temple at least once a month, a much higher percentage affirm a Jewish identity and that this persists even in intermarriage – indeed, Jewish partners in intermarriage seem to feel a certain obligation to maintain the Jewish part of the family’s character. So Jewish identity is undoubtedly changing and becoming way less institutionally structured, but it is not disappearing. And support for Israel or opposition to Zionism – whatever any of us might like – does not seem to be decisive either way. Sun Nov 16, 2014 2:44 pm (PST) . In his new book, the controversial historian challenges secular and anti-Zionist Jews to define their identity. Perhaps the most telling passage in Shlomo Sand’s new book – “How I Stopped Being a Jew” (Verso Books, 112 pages, $16.95/£10) – comes about halfway through, when he mentions the famous meeting in 1952 between Israel’s first prime minister, David Ben-Gurion, and Rabbi Avraham Yeshayahu Karelitz (known by his followers as the Hazon Ish), at the time one of the most influential ultra-Orthodox rabbis. According to one version of what happened at that meeting, Rabbi Karelitz lectured Ben-Gurion that, in collisions between religion and state, the rabbis must prevail. To back this up, he cited the talmudic case of two carts blocking each other on a narrow road. The ruling is that the empty cart must give way to the full one. The inferred analogy – that secular Jews are the empty cart, devoid of heritage and learning, while only the Orthodox have any authentic Jewish culture, has been an enduring insult ever since to many Israelis. But Sand, the controversial and iconoclastic Tel Aviv University historian, whose previous books “The Invention of the Land of Israel” and “The Invention of the Jewish People” caused furor within and outside academic circles, and who takes pride in being a total atheist, is on the rabbi’s side. Not only, he argues, is there no Jewish culture that is not derived from religiosity, but the very notion of secular Judaism is indeed an empty one, since no such thing exists. His new book, actually a moderately long essay, should instead have been called “Why I Never Was a Jew,” since Sand is emphatic that nothing he has ever believed in has really been Jewish. His entire life, or as much of it as comes to light in what is also an abbreviated autobiography, led up to the moment he realized his total lack of a Jewish identity. But more than anything else, while reading Sand’s new book, I felt I was a religious affairs reporter once again, back in the days when I read the ultra-Orthodox newspapers daily. Sand could have easily been a pundit for one of them. I don’t mean those of the rabidly anti-Israel Neturei Karta sect, but the more mainstream Haredi publications, like Yated Ne’eman, Hamodia and Mahane Haredi, whose standard line is to deride and denigrate any manifestation of Jewish secularity. Sand here is echoing both the ultra-Orthodox, who accuse the secular of transplanting foreign ideals into “authentic” Judaism, and Benjamin Netanyahu, who famously said, “the leftists have forgotten what it is to be Jews.” Sand wants Jews to choose: You can be either religious or nationalist (or both), but if you are neither, then you are not Jewish. And don’t bother him with talk of Jewish ancestry and DNA, because if that’s your alternative, then your definition of Jewishness is racial, just like the anti-Semites. There is nothing ethical about Judaism, says Sand, blasting away the much cherished liberal notion of tikkun olam – if it’s enlightened, then it’s universal, and therefore not Jewish. The long lists of brave Jewish revolutionaries and human rights advocates so beloved of progressive Jews mean nothing, he claims. If anything, they were denying their parochial Jewish roots and joining a bigger and better global brotherhood of man and woman. How awful for her that this fierce critic of Jewish nationalism refuses to embrace Palestinian nationalism instead. She would have been devastated if she knew that Sand agrees with the Zionist right that the Palestinian people are an invention. In 2012, he said in a Haaretz interview that “the Palestinians were Arabs who lived in this region for hundreds of years. Zionist colonization forged the Palestinian people.” Many of his arguments against a return of the Palestinian refugees mirror those used by the right. Sand advocates equal rights for all Israeli citizens; indeed, one of his reasons for proclaiming he is not a Jew is that he doesn’t want to belong to one set of “privileged” Israelis. But at one point in his lecture, he echoed Avigdor Lieberman, when he raised the following fear: “What if the Arabs in Galilee want to have a Kosovo?” He also rejects the Israel = apartheid equation much beloved of the anti-Zionist left; not because Israel is any less racist in his reckoning, but because unlike South Africa, which could not exist without its black population, Israel’s economy is robust enough to do without the Palestinians. Sand’s challenge to secular Jews who refuse to be defined by religious belief and practice is a strong and eloquent one. In the absence of religion, he claims, there are only ersatz identities, such as clinging to memories of persecution, which has largely disappeared from the world. Everyone wants to be a survivor, he says, that’s the real “Holocaust industry.” Or else Jewishness in this day and age is defined by one’s artificial relationship with Israel, whether it’s support or repudiation. Sand takes advantage of a peculiar vulnerability of today’s non-religious Jews – their failure to articulate what it means to be Jewish in a century where no one is trying to shut them into a ghetto or murder them. Being Jewish without religion, he insists, means living in the past; it has no base in the present or future. But his insistence that if it cannot be defined, then it does not exist, is also his weakest point. Just like the Haredi outlook, Sand’s perspective of Judaism is a fundamentalist one. He disregards the fact that ultra-Orthodoxy is also just another reinvention of Judaism – in this case a reaction to the 18th-century Enlightenment and the auto-emancipation of the next two centuries. In every generation, Jews fought with the contradictions of their faith and allowed themselves to pick and choose. It was always a nebulous identity, but never the weaker for that. The identity of the skeptics and the heretics and the rebels was Jewish, precisely because they chose it to be, and denied the rabbis the right to decide for them. Who can deny them that? Sand implores his readers to allow him not to be Jewish; that should be his right. But at the same time, he cedes the right to define who is a Jew to the rabbis. To win his freedom to define himself as he chooses, he wants to deprive the rest of us of our freedom to remain Jews on our own terms. It is always welcome news, especially in the Middle East, to hear of the defeat of the Islamic Right, who use religion to reinforce the power of the market and the mullahs and their corrupt hangers-on. Elation beamed from supporters of Tunisia’s secular Nidaa Tunis party just hours after polls closed Oct. 26, marking Tunisia’s second democratic elections after the Arab Spring. Nidaa Tunis is headed by the charismatic Beji Caid Essebsi and is an eclectic conglomerate of cadres from the regime of former president Zine el-Abidine Ben Ali, big business, left-wing intellectuals and unionists. The party unseated Ennahda, the moderate Islamist party that swept the 2011 legislative elections. For months, analysts and voters pitted Ennahda against Nidaa Tunis, painting a polarized political field. Religion against secularism appeared to be the name of Tunisia’s electoral game. Yet the country’s political field is much more diverse than that. With 1,327 candidate lists vying for seats during the three week long campaign, streets were crowded with boisterous rallies and clamorous parades, representing a wide variety of reforms, programs and promises. 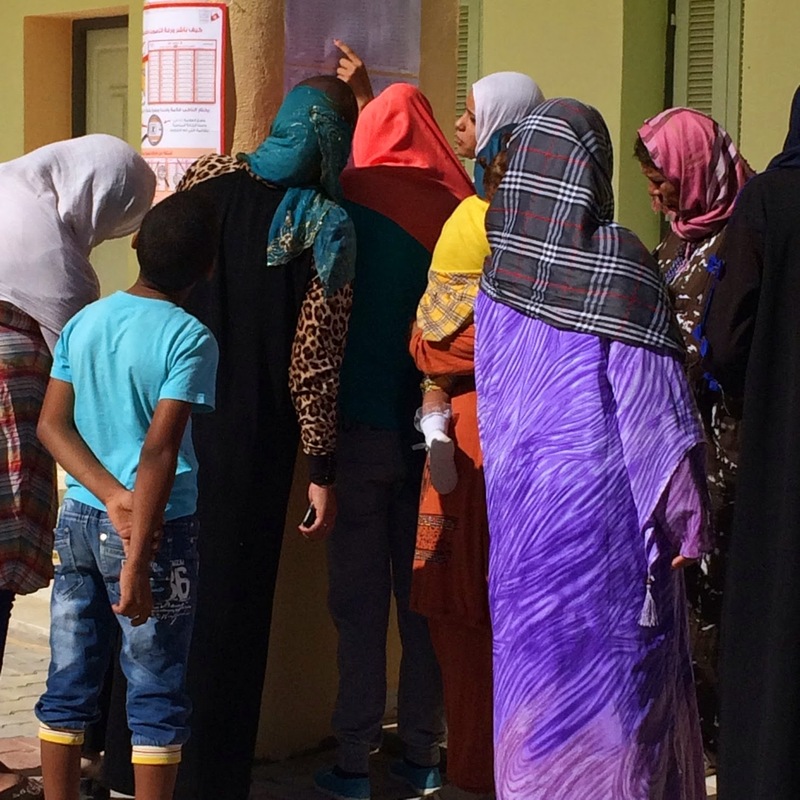 Preliminary election results reflect Tunisia’s political diversity with a third of voters choosing between extreme leftists, determined capitalists and independents. When glancing beyond the capital of Tunis to the country’s economically challenged interior and south, a simplistic secularist over Islamist victory does injustice to the richness of Tunisia’s shrewd post-revolutionary political evolution. In Gafsa, the phosphate-rich epicenter of southwest Tunisia, and the neighboring mining town of Redeyef, lofty debates about religion and secularism mean very little to residents. Unemployment in the area soars, and disgruntled residents complain of no improvements since the 2011 toppling of Ben Ali, blaming Ennahda’s governance as much as corrupt interests of the lingering old guard in Tunis. Life in the mining region differs remarkably from that of Tunisia’s capital, but to many residents and local leaders, Gafsa is where the Tunisian Revolution began. In 2008, two years before the Arab Spring, a six-month rebellion by unemployed minors, leftist activists and defected unionists in the mining region was violently crushed by Ben Ali’s security forces. The region was on fire as protesters took to the street every week, fundamentally shaking the regime. Candidates from the region, especially leftists, heavily lambast the post-revolutionary political elite for dismissing the region’s longstanding political tradition. In Redeyef, a town dotted with dilapidated buildings from the French colonial period and flimsy constructions of the 1960s and 1970s, unemployment has reached an estimated high of 40 percent. Most affected are educated youth who desperately seek entry into the phosphate industry. Phosphates extraction, production and trade constitute one third of Tunisia’s economy, yet the industry is heavily controlled by the Tunisian state, which has done little to reinvest in the region. Though Ennahda swept the elections in the mining region in 2011, the area has always been a bastion for politics concerned with workers’ rights and economic equality. One of the region’s most celebrated local leaders, Adnen Hajii, the so-called Che Guevara of the south, led the 2008 rebellion and has now secured a seat in the 217-member parliament on an independent ticket. He ran along-side the Popular Front coalition, an eclectic mix of 12 parties and civil society organizations, inspired by mid-century intellectual Marxism, Leninism, Arab and Tunisian Nationalism, and European-style social democracy. Bordered by Algeria to the west and the Sahara desert to the south, Redeyef has historically suffered from underdevelopment and mismanaged economic plans, yet its political vibrancy mirrors none other in Tunisia. Days before the Oct. 26 elections, residents were out in full force, braving the unbearably dry heat to welcome political celebrities. Leftist Hamma Hammami, the Popular Front’s charismatic leader and long-time opponent of Tunisia’s first and second presidents, Habib Bourguiba and Ben Ali, visited his loyal followers, many of whom participated in the 2008 rebellion. A recent visit by Slim Riahi, leader of the Free Patriotic Union party, businessman and president of Club African, a popular Tunisian soccer club, captured a surprising amount of support by coming in third, less so for his liberal economic affinities than his soccer profile. Original campaigns by both political factions garnered them well over 10 percent of parliamentary seats, one of the elections’ surprises. Leftist tendencies in Tunisia have regained much of their former popular appeal following two political assassinations of leftist leaders – Chokri Belaid and Mohamed Brahmi in February and July 2013, respectively. The second assassination spiraled Tunisia into a political crisis and inspired a movement, Rahil (Get out), which called for the resignation of the Ennahda-led Troika government. Voters dissatisfied with both Ennahda’s performance and Nidaa Tunis’s program have been drawn to smaller parties, from leftists to those with clear liberal economic agendas. Discussing platforms with groups of leftists in the sparse offices of the Popular Front or Hajji’s party on election day, the mood was clear: Local economic needs trump all other ills. In regions such as Gafsa, plans for economic equality, redistribution and a heavy regulatory state dominated platforms and public speeches. The Popular Front is first and foremost committed to democracy, principles of social justice and economic equality. But its members cringe when you call them leftists. They have a keen reading of politics: A retired philosophy teacher who taught at a local school in Redeyef clarifies that leftist militancy served a purpose before the Revolution, “it allowed us to unite and fight against Ben Ali and his cronies.” With a smile he says, “Today we have become democrats, we are pragmatic about Tunisia’s future.” The Popular Front, projected to have won 12 seats, wants to ensure a political balance between the leading factions in parliament. 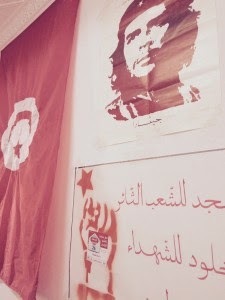 “The Popular Front is an example of a party that represents Tunisia’s most pressing needs and one that can function as a legitimate counter-power in parliament by placing a check on both Nidaa Tunis and Ennahda,” says Noaman Ben Ammar, a young, unemployed activist from Gafsa who participated in the 2008 Rebellion and is now a member of the Popular Front. Those who voted for leftists and other smaller parties are thrilled – not only have their economic woes found a voice in the assembly for the first time, but their decision to not vote “strategically” has paid off. As stories abound about a strong victory of secularism versus Islamism, or the faulty perception that Tunisians are polarized on a religion-secularism dichotomy, those who voted for the smaller parties are content.They understand that in a nascent democracy, a wide variety of platforms with diverse promises are more valuable than a clustering of interests around one or two political factions. “I am a devout Muslim,” says a member of Hajji’s party from Redeyef, “but I will only vote for candidates who represent the real dire needs of my region. For us the only solution is a strong leftist voice in Tunis.” Painting Tunisia as split between religion and secularism cheapens the country’s extraordinary progress toward democratic pluralism. The parliamentary elections showed that voters’ political inclinations stretched far beyond the ideological splits of religion versus secularism. Such labels have become fashionable means to make sense of Arab Spring countries, yet they don’t represent Tunisia’s fascinating political, if not democratic reality. For the country’s south, which has been plagued by economic ills since independence, there is hope. “For the first time,” says Ammar, “our needs are represented in the assembly.” The proliferation of political parties and extraordinary strength of civil society defining Tunisian politics following the 2011 Revolution show that Tunisia’s democracy is, indeed, in its making. Laryssa Chomiak is a political scientist and director of the Centre d’Etudes Maghrébines in Tunis. She is finalizing her upcoming book on the politics of dissent under Ben Ali’s Tunisia and portions of her work have appeared as book chapters and journal articles in Middle East Law and Governance, The Journal of North African Studies, Portal 9 and Middle East Report. Left Unity - the group set up with such hope and optimism - has fallen foul to the same curse that has historically plagued the socialist and far-left of British politics - Sectarianism. The belief that one's own petty concerns are of more importance than the wider movement and a belief that changing language and one's own and fellow collaborators consciouness is more important than changing society. With the Labour Party in crisis, losing its Scottish heartland after campaigning with the Tories in the independence vote, trying to outbid UKIP and agreeing to the Tory’s fiscal strategy i.e. making the poor pay for the banking crisis, it might be thought that this was the ideal chance for a united left. The Green Party, however radical it sounds, demonstrates in Brighton what Green parties have always done when they have got into power – which is run capitalism and try to sound a little bit more radical. In Germany it was a Green Foreign Minister, Joshka Fischer, who first took German troops into action for the first time since WW2. Not only do Green Parties believe they can green capitalism rather than change it but their attitude is to accept that the State is a neutral instrument of power rather than a means of coercion and repression. Green Parties accept that it neutral whilst making a few tame proposals to reform it. In Brighton, a Green Councillor, Ben Duncan, who responded to a march through by troops by calling them ‘hired killers’ has been the subject of a witch-hunt by both New Labour and the Green Party who have removed him from all committees. Yet what else is an army designed to do but kill? They might sometimes be portrayed as ‘peace keepers’ but their real role is to kill and suppress on behalf of the Crown. Yet Left Unity, far from making its voice (does it have one?) heard has engaged in a bout of navel gazing and constitutionalism. 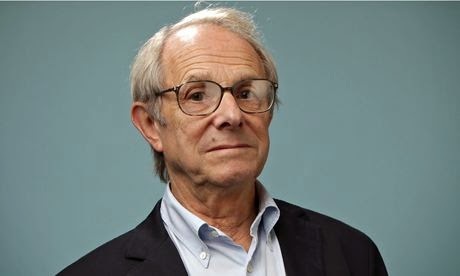 Set up with the money of Ken Loach and presided over by Kate Hudson, Andrew Burgin and a few other luminaries of the left, it has repeated the depressing record of the British left's failures. In June I resigned from Left Unity since ‘safe spaces’ and ‘intersectionalism’ (yes, what’s that) were more important than bread and butter issues. If ever there was a golden opportunity for the Left it is now. The deeper reasons for the collapse of Left Unity (down from three to two thousand members rather than attaining the five thousand it intended). 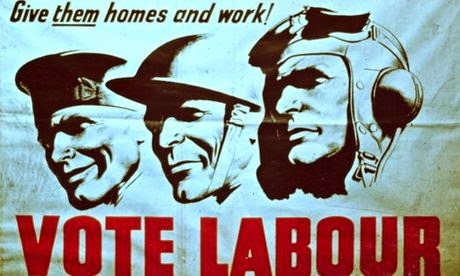 lie in the collapse of the far-left's traditional base - the organised working class and the trade unions. My resignation was mocked by the likes of Andrew Coates who reported it as Tony Greenstein Resigns from Left Unity: World’s Progressives Shaken. People today have not moved to the Right. Rail renationalisation, bankers and their bonuses, multi-nationals avoiding paying tax, attacks on the disabled, bedroom tax, cutting working tax credits, having a much higher minimum wage are just some of the policies where they are to the left of Labour but in the absence of a party that organises the dispossessed and poor, then easy solutions such as blaming migrants, Europe and ‘scroungers’ seem attractive. There is a lesson there for the Left but the likes of the International Socialist Group, whose hotchpotch policies have ruined Left Unity, are unlikely to learn it.